My BrainPOP school administrators can add and remove access for other administrators with the Admin Dashboard. To upload an individual educator, click One Account. Fill out the form with the educator’s username, name, educator ID, and email address. A temporary password will be generated for the educator. 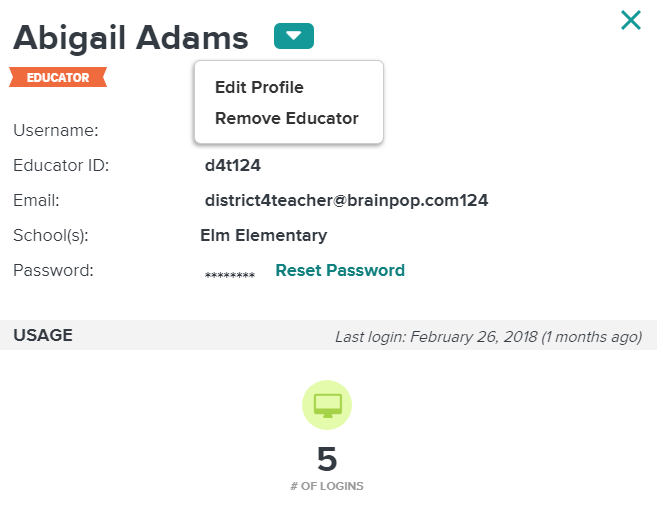 If this teacher should also have administrator privileges with access to the Admin Dashboard, check the box that reads ‘Educator is an admin and can create and upload educator and student accounts and view usage data’. Click Create Account. The educator will receive a confirmation email with their temporary password. When they log in for the first time, they will be prompted to reset the password. 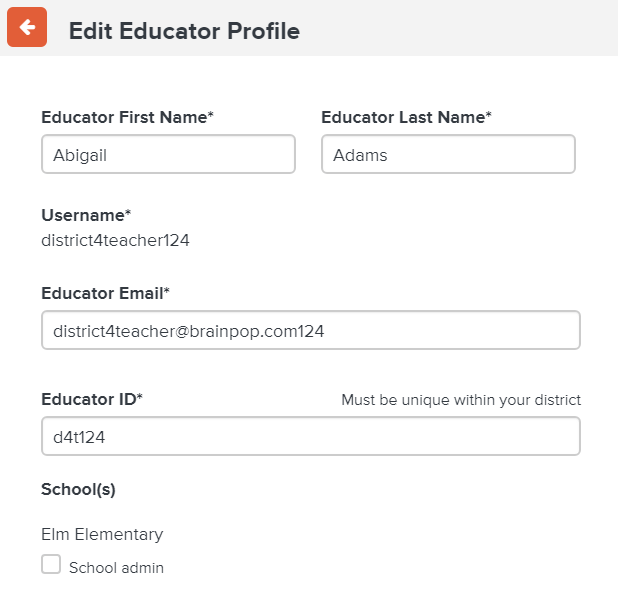 If the educator already has a My BrainPOP educator account, there are two ways to make them an administrator in the Admin Dashboard. 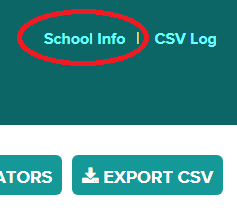 Click the School Info button. Click + Add School Admin. Search for an existing educator by first or last name. 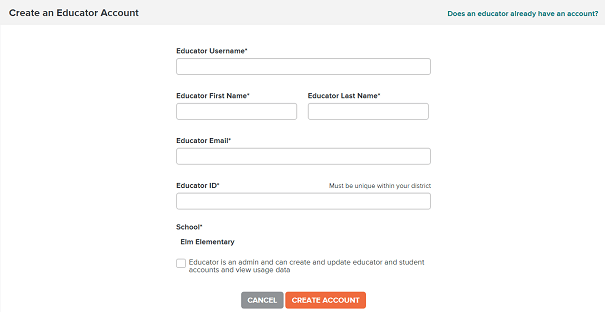 Choose the educator from your list that you would like to grant admin access to and click Add. The next time the educator logs into their account, they will see the Admin Dashboard linked at the top of the screen. You can also grant admin access directly from the educator’s profile. Click the Educators tab in the Admin Dashboard. Click the name of the educator that you’re granting admin access. Click the dropdown to the right of the educator’s name and choose Edit Profile. Click the School Admin box and choose Update. 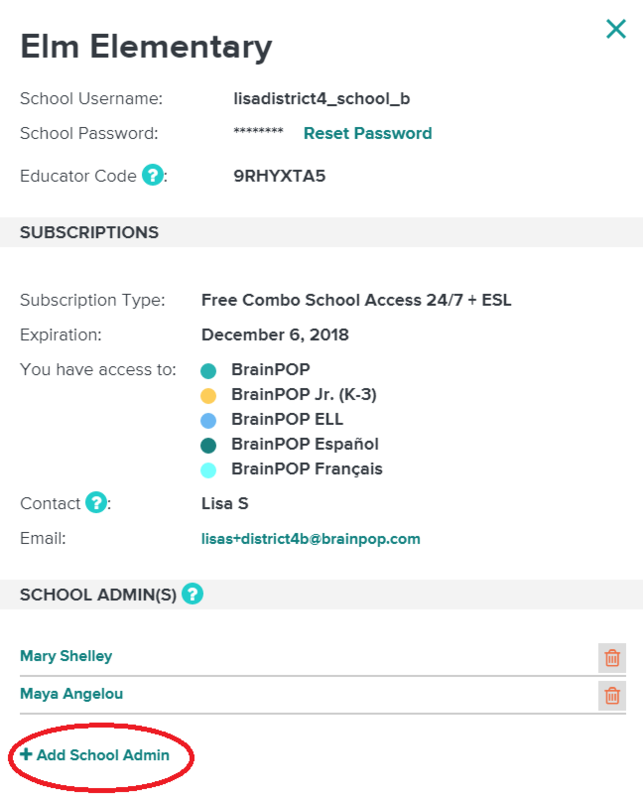 How do I remove admin access from a My BrainPOP educator account? Admin access can be removed by selecting the trash can icon next to the admin’s name within the School Info tab, or by selecting the admin and using the triangle to Edit Profile, then unchecking the School admin tab.